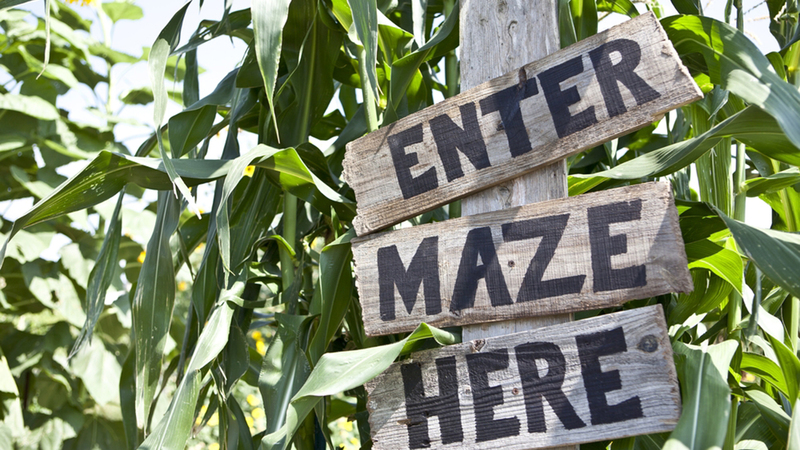 WEST JORDAN, Utah -- Police say a 3-year-old boy spent the night in child welfare custody after he got lost at a Utah corn maze. Police Sgt. Joe Monson said Tuesday the child was apparently left behind while visiting the Crazy Corn Maze in the Salt Lake City suburb of West Jordan with a large family group. Monson told the New York Daily News that the boy and his mother went to the maze with a big group of people and somehow became separated. According to police, when they got home, the mother didn't realize her son was missing and ended up falling asleep while watching a movie and then later went to bed, still without realizing that the boy wasn't home. Monson said the boy was cold and frightened but unhurt when someone else found him at the maze Monday evening. Staffers called on a bullhorn and searched for his family but couldn't find anyone until his mother called police Tuesday morning. Monson said she later arrived at the police station with about 10 children. The boy is expected to be reunited with his family. Monson said it wasn't immediately clear how the child's disappearance went undetected, but police are investigating whether any criminal charges are warranted.